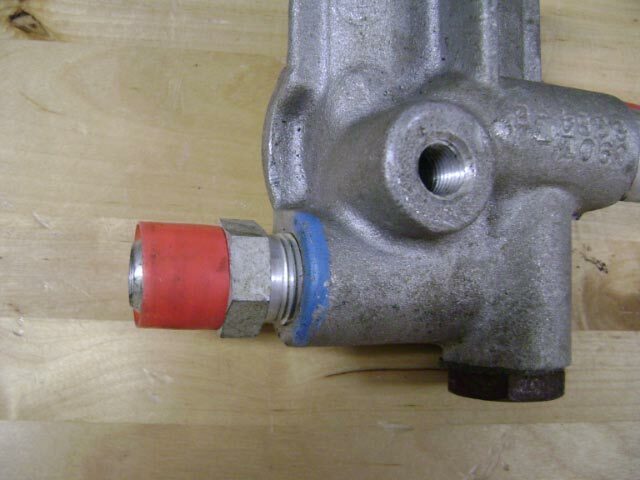 Ford identified the oil filter adapter used on 428 SCJ engines using basic part number 6881. 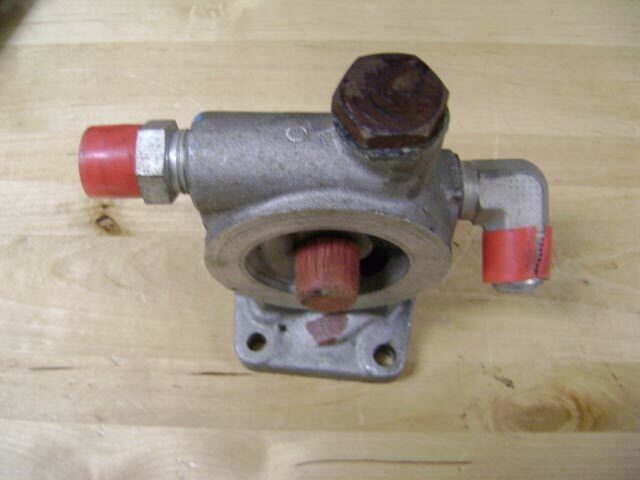 The 1975 Master Parts Catalog identifies the pump using service part number C9OZ-6881-B. The adapter provides fittings for lines that run to and from an external oil cooler. The adapter is made of cast aluminum. 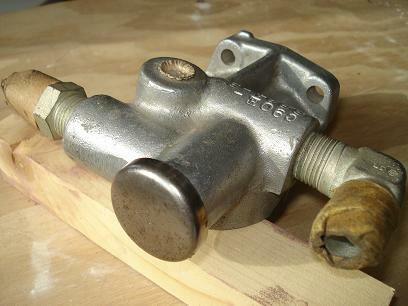 The NOS adapter pictured here has several markings on it that can be used to identify the part. The most obvious is an engineering number of C9OE-6884-B. 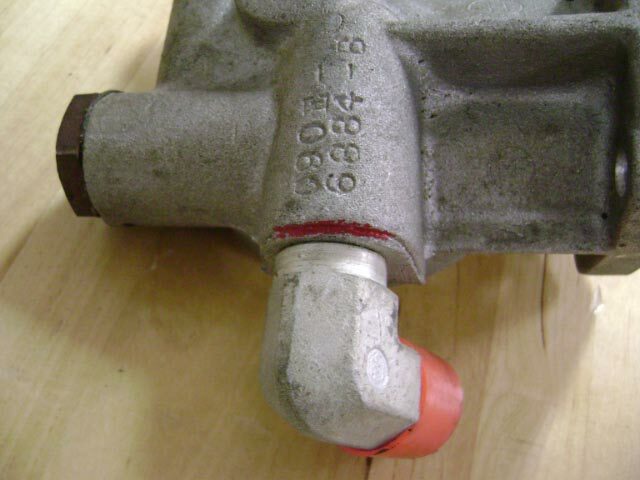 C9OE-6881-B is another commonly found engineering number. The red and blue markings are most likely assembly aids to help identify the ports when installing the oil cooler lines. 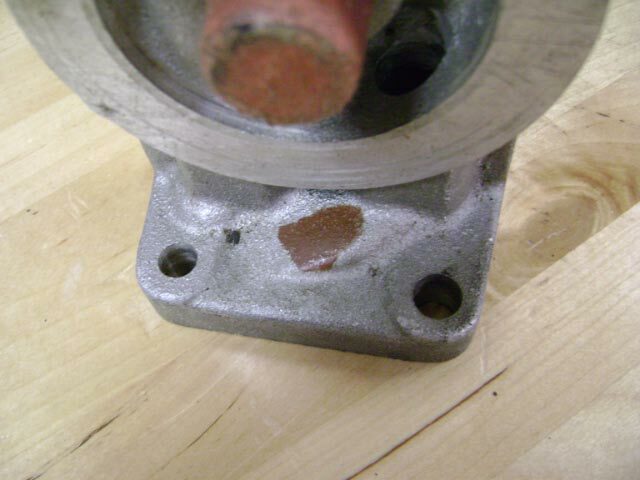 The threaded hole in the top of the adapter is for the oil pressure switch. Be careful when installing the switch. Those aluminum threads can be stripped easily! 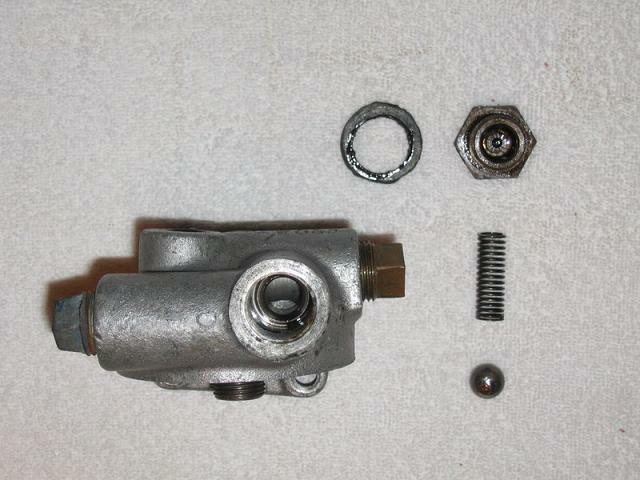 The bolt pictured here covers a spring-loaded, ball-bearing bypass. If oil flow to the cooler is blocked, the resulting high fluid pressure lifts the ball off the spring, bypassing the flow to the cooler. 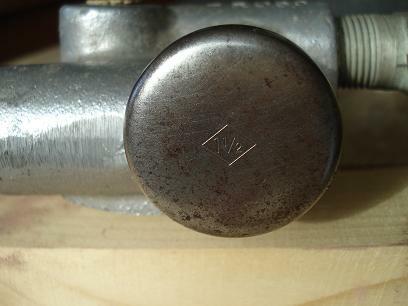 A plastic cover can often be found over the top of this bolt. 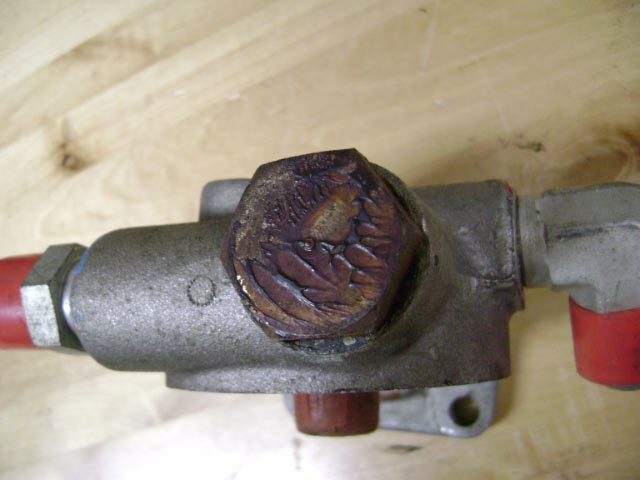 A 1 1/2" shallow freeze plug is often found glued to the top of bolt. Thanks to Bruce Wanamaker, Heath Kopp, and Jim Woods for the pictures used here.